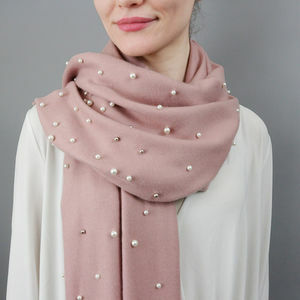 A stylish blanket scarf with subtle embroidered initials. 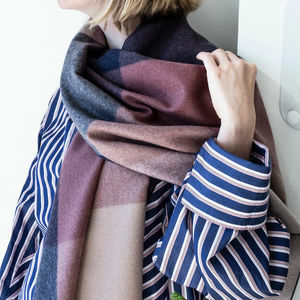 This gorgeous oversized winter scarf is the perfect autumn/winter accessory. 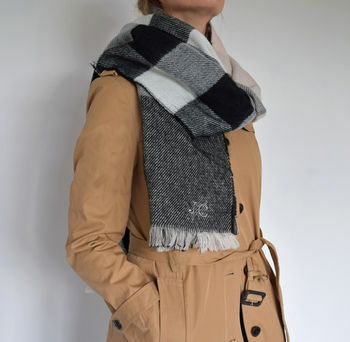 The ultimate in cosy auturn/winter accessorising - this gorgeous oversized scarf is stylish, warm and personalised (e.g. JC)! With its classic grey and black colourways. 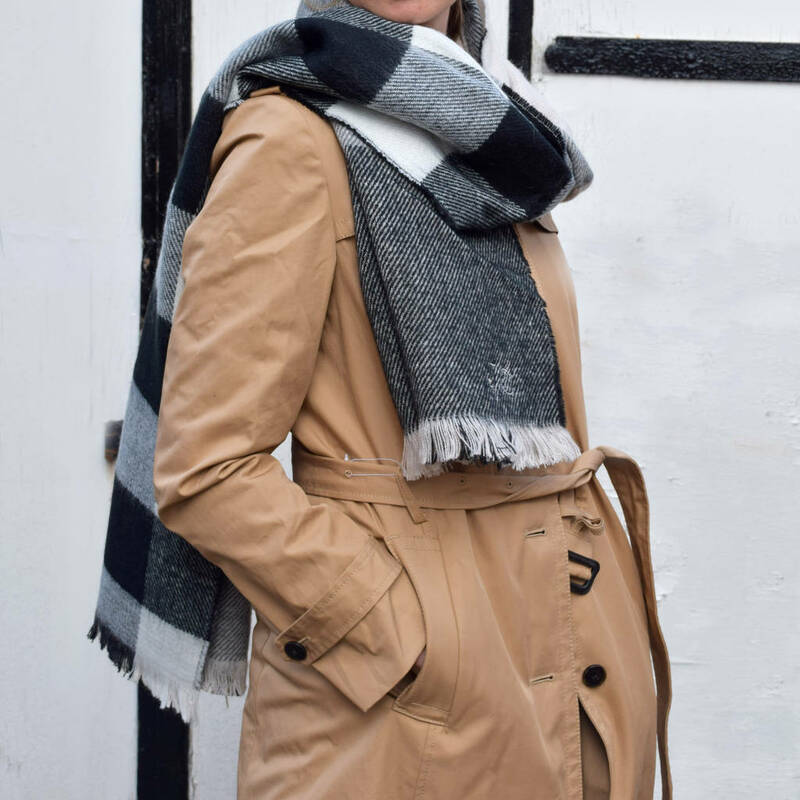 Scarves are always a classic and favourite gift item, this year it is perfect Christmas present for a wife, teenage daughter, sister or best friend. It is available to be personalised with subtle initials. Approx : 79" x 23"